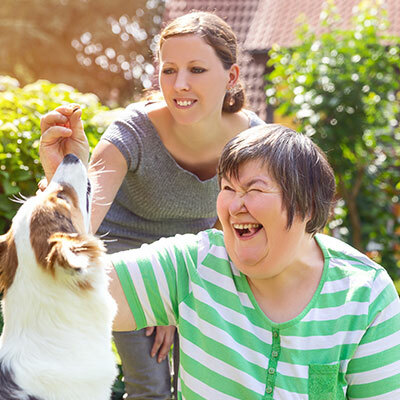 As a registered National Disability Insurance Scheme (NDIS) provider Beacon Support provides professional and high quality independent supported living. Our experts work with you or your loved one to build off their strengths, and provide support to overcome their challenges and grow independence. Independent supported living is when there is assistance in daily tasks to help individuals develop their skills to live on their own. This assistance, support or supervision helps an individual increase their ability to live autonomously. Whether you live on your own or in shared accommodation, Beacon Supports independent supported living team is here to help you. Our networks throughout your community will help you find your perfect supported living arrangement. If you are between the ages of six and sixty-five, and are living with a disability, you may qualify for funding for independent support living arrangements via the NDIS. Depending on your disability and personal needs, you may have one or more of the following support options available to you. Your independent supported living assistant can help you participate in community activities. By expanding your network, you are able to meet new people, learn new skills and encounter new opportunities within you town or community. Beacon Support has great connections within the community and will help you find a perfect match to your interests. Through the independent supported living assistance, you are able to develop skills in household cleaning, shopping, money management and other skills required to be successful. Our assistants can help teach you methods to manage all of your household tasks and provide aids that will complement your strengths. Even if you have never managed a household on your own, Beacon Support is here to help you learn and be successful. Beacon Support helps give you the decision power when determining where to live and who to live with. Our independent supported living team will work with you to determine the best living arrangement. All decisions will have your final seal of approval before moving forward. Beacon Support’s community is here to help you and your family find a balance and live your life to its fullest potential. Working with a collaborative team to create a positive, supported living environment, you are taking the first step towards your independence. Call your independent supported living assistants and experts from Beacon Support to start discussing how you can live a more independent lifestyle. Don’t wait, call us today!